Toon's Tunes : Korn, Rob Zombie, In this Moment: tour dates and venues: tickets on sale on Friday! 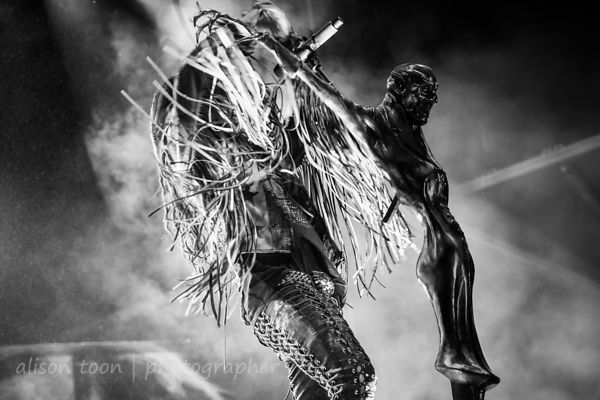 Korn, Rob Zombie, In this Moment: tour dates and venues: tickets on sale on Friday! All the dates and venues for the Korn and Rob Zombie "Return of the Dreads" tour have been announced: April 30th through until September 3rd. Closest date to Sacramento is Shoreline Amphitheater, Mountain View, on July 29th. This will be a very visual and entertaining tour. 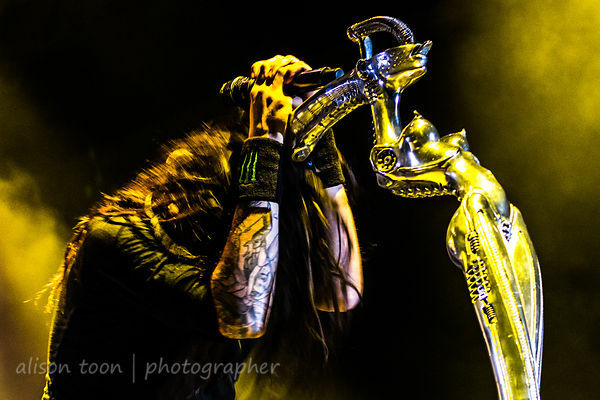 Both Rob Zombie and Korn have amazing mic stands--I particularly love the one used by Korn's Jonathon Davis, designed by the late, great HR Giger (click here for more info). And Maria Brink and the band never fail... better get tickets! Tickets go on sale on Friday this week on LiveNation.com!